Well, I might just have to quit after this. 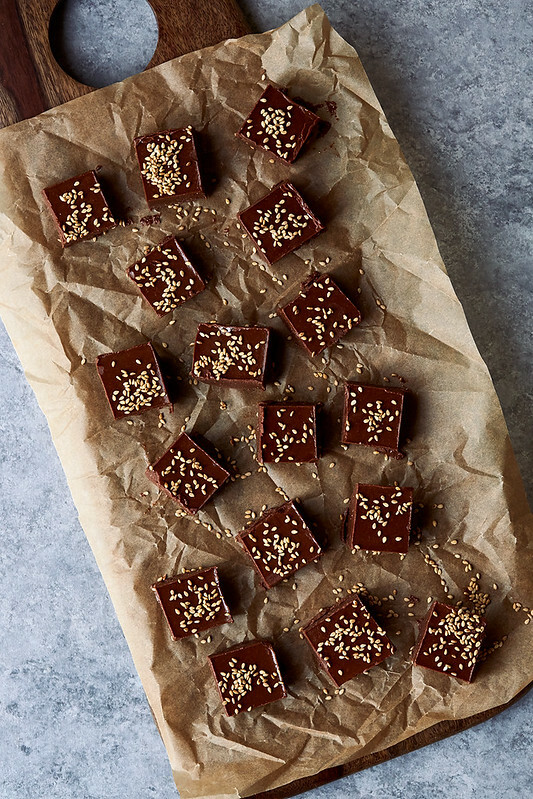 This Boosted Chocolate Tahini Fudge features two of my favorite things together in a marriage so perfect I am not sure any treat can ever compare. At least for this girl. As if it couldn’t get better, this treat features the bonus healing powers of one of my favorite daily supplements. 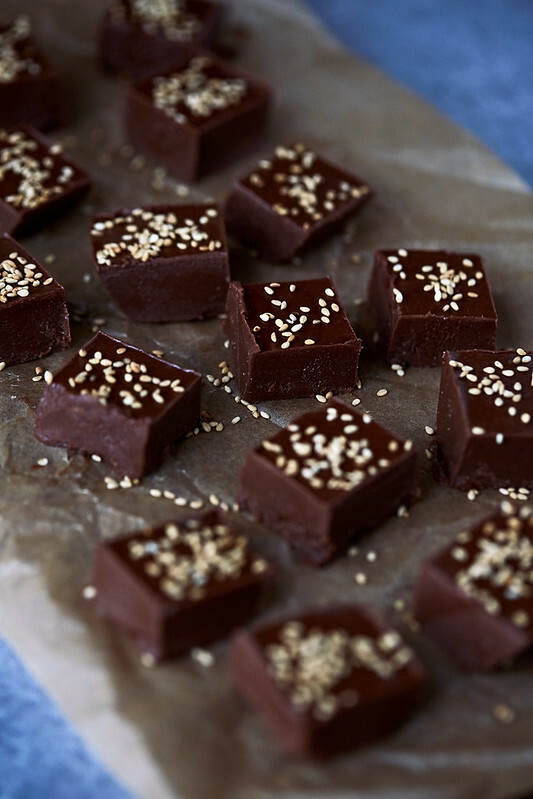 This fudge is dreamy. It’s rich and decadent, it’s unique and “mmmmm”-inducing. Here’s the thing though, if you don’t like tahini, it may not be for you (though you could likely swap in some almond butter or sunflower seed butter). But if you are a lover of all things tahini, you’re in luck. MAJOR luck. The tahini flavor shines bright and in it’s prominence it’s complimented so perfectly by the decadent, rich super dark chocolate. Don’t skimp here, quality is of key. 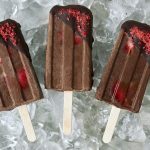 Better yet, use homemade dark chocolate if you’ve got some. You guys already know how I feel about dark chocolate, a square or two a day of this magical superfood and that’s about all this lady needs to be satisfied. It doesn’t take much. 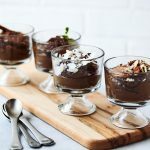 Curious on why dark chocolate is a great option for a daily treat? Read more about the many benefits of dark chocolate. But here’s the best part, this is so much more than your usual treat, in true Tasty Yummies style, I boosted this fudge to bring an added layer of healing benefits. Vital Proteins’ Vanilla and Coconut Water Collagen Peptides is one of the latest and greatest from my pals over at Vital Proteins. You guys have already heard me sing the praises of collagen peptides as part of a healing diet and lifestyle. But since I have started incorporating Vital Proteins in my life, daily, they have continued to expand their product and introduce more and more incredible collagen based products. 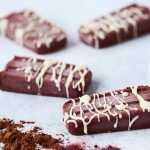 The new Vanilla and Coconut Water Collagen Peptides is no exception, this has been a wonderful addition to smoothies, as well as baked goods and now this amazing boosted fudge. 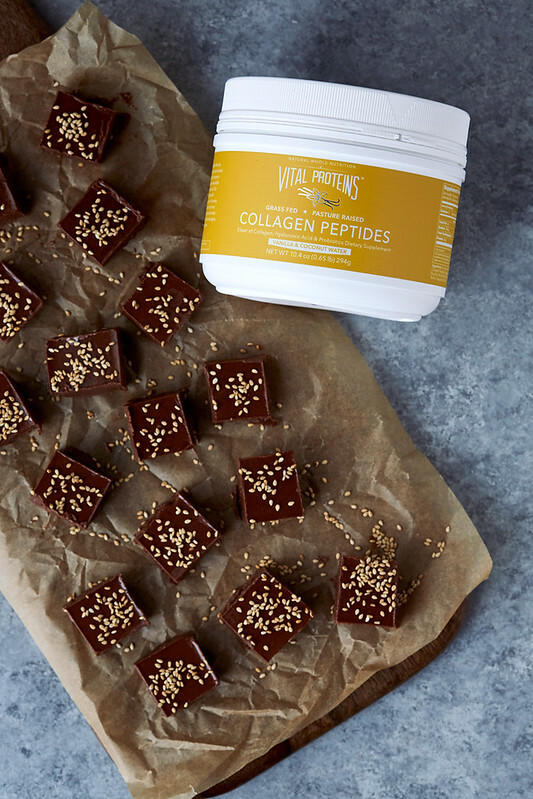 Vital Proteins Collagen Peptides (Vanilla & Coconut Water) are sourced from grass-fed, pasture-raised bovine hides to ensure a natural, high quality, and sustainable source of this nutrient. 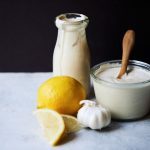 Collagen is the most abundant protein in the body, supporting the vitality of your skin, hair, tendons, cartilage, bones, and joints (read more here). The Vanilla and Coconut Water Collagen Peptides bring a beautiful vanilla flavor with just a hint of coconut making for a premium elixir. Providing all of the usual benefits of VP’s collagen, it also brings Madagascar vanilla beans, coconut water, hyaluronic acid and probiotics. 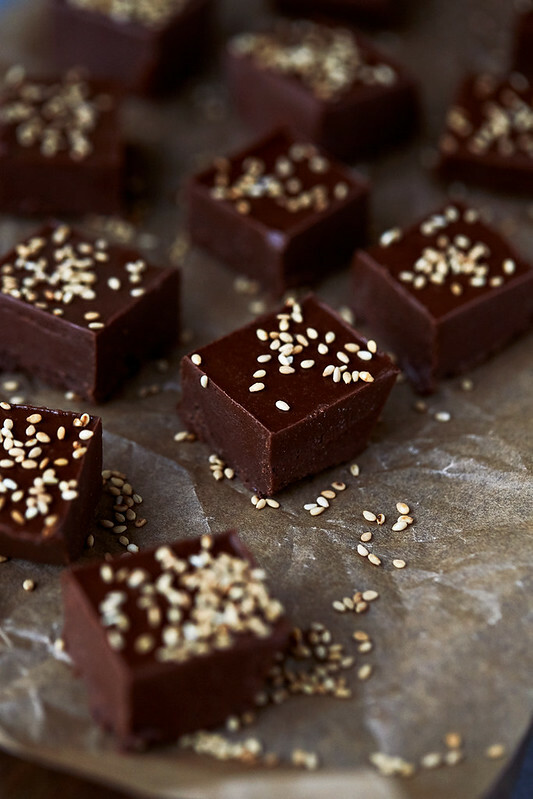 This Boosted Chocolate Tahini Fudge is best stored and eaten right from the refrigerator or freezer, it can get a little too soft quickly at room temperature. Ain’t no one got time for melty fudge. 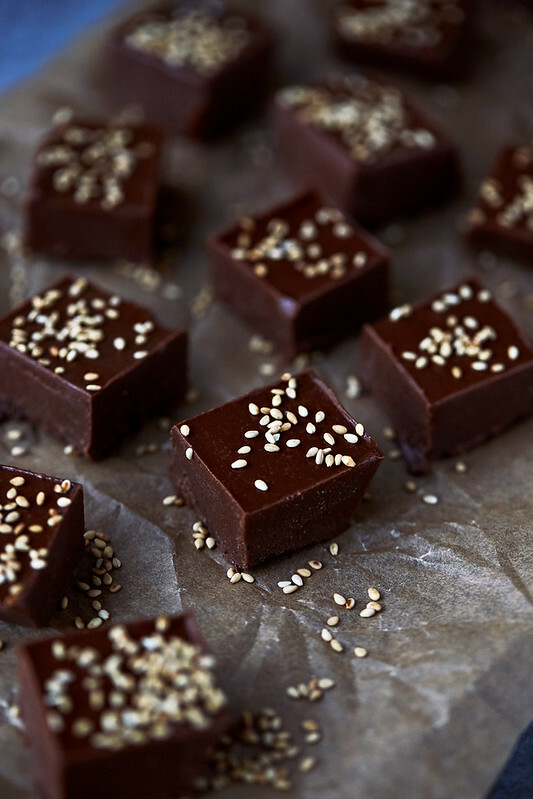 If you want to get really creative, you can consider boosting this fudge even further, by adding in some maca or turmeric, maybe a little cinnamon, coffee or cayenne, cardamom would pair perfectly with the tahini. Have fun! In a small saucepan over medium heat, add the coconut oil (butter or ghee) along with the tahini and the maple syrup (or honey). Slowly melt, whisking often. Remove from the heat when the coconut oil or butter is melted and the mixture is hot. Stir in the roughly chopped chocolate and the Vital Proteins powder, vanilla extract and a pinch of sea salt. Whisk well to combine and stir until the chocolate is completely melted. The texture of the mixture will depend on how runny the tahini is. Pour the fudge mixture into the prepared pan and smooth the surface. Sprinkle with the toasted sesame seeds. Place in the freezer for at least two hours. Once it has frozen solid remove and cut into squares. Sweetener amount can be adjust to suit your tastes as well as how dark the chocolate you are using is. Taste and adjust as necessary for your individual tastes. I personally use 95-100% dark chocolate and only 1 tablespoon of maple syrup. Recipe yield size is dependent on the size of the pan you use and how large you cut the squares. You can try another protein powder in place of the collagen peptides or simply leave out and the texture will just be slightly different, but it is still incredible! Vital Protein's regular Collagen Peptides or Marine Peptides would also work in place of the Vanilla and Coconut Water. Learn more about my favorite products from Vital Proteins + save 10% with exclusive Tasty Yummies product bundles. I’m making these today! Happy feasting! Hi Beth! Saw you on the Women’s Strength Summit and I’m now addicted to your page! 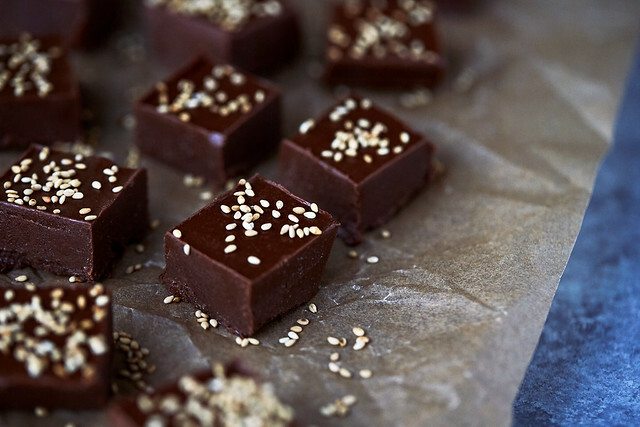 How does the Tahini Fudge turn out if I don’t have Vital Proteins to add? Is there a substitute that would work? Thanks!